This began as a study of reciprocity. A single 3/8" sheet of mild steel is painted on one side with the flag of Israel and the other with Palestine. 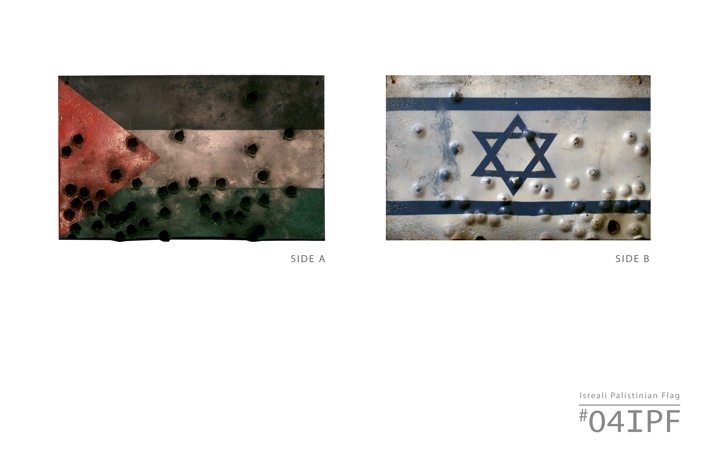 Riddled with bullet holes, the viewer notices that violence directed towards either flag results in the disfigurement of the other.